This route is classified as a loop, but the end points are about 20-30 minutes drive apart. 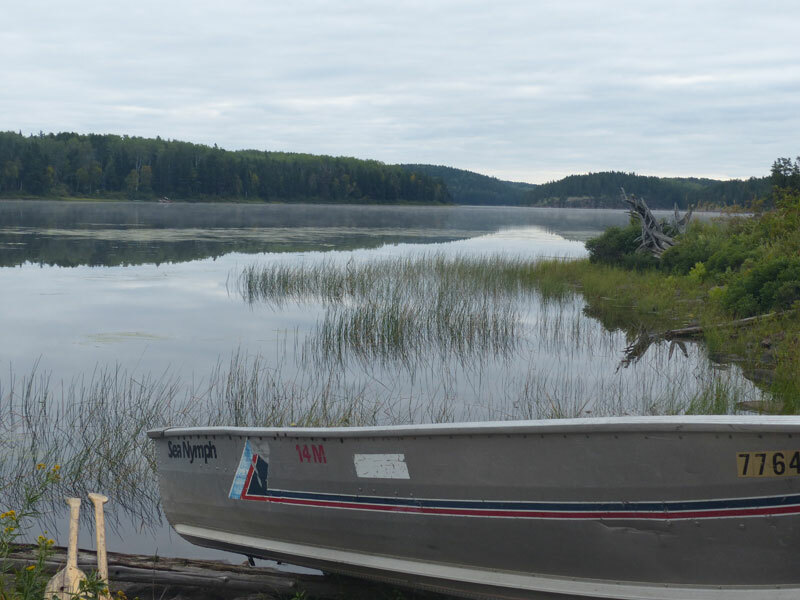 After phoning a few lodges/camps around Gowganda for a shuttle, Jack, at Sportsmen's Camp on Firth Lake west of Gowganda, agreed to help us out. We had discussed whether to do the loop clockwise from Wapus Creek and pull out at Edith Lake, or counterclockwise using the same locations. 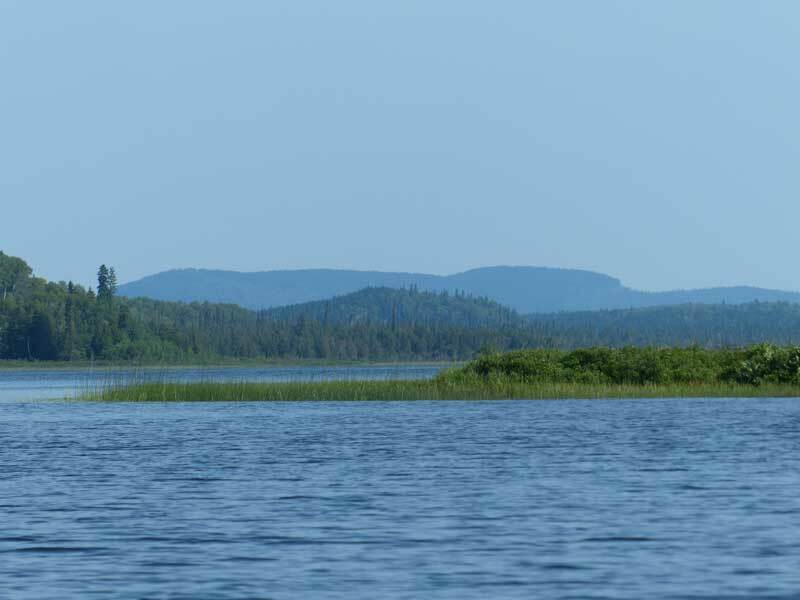 It was decided to do it clockwise due to the lack of portages going upstream between Rankin Lake and Pennassi Lake, whereas there were portages going upstream from Matachewan to Obushkong Lake. As it turned out, it was the correct decision. Thursday, Aug. 15 - We arrived at Sportsmens Camp late afternoon after an 8 1/2 hour drive. 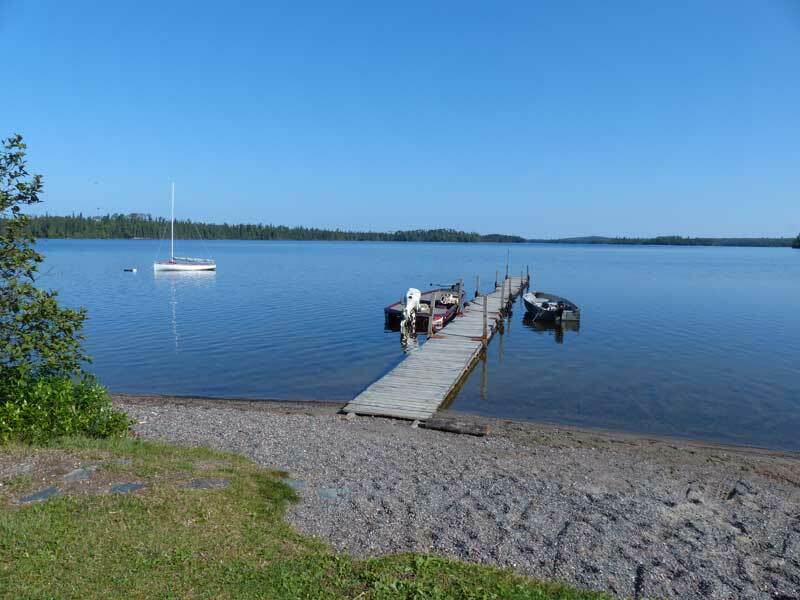 Sportsmens Camp has basic accommodations geared towards fishermen. 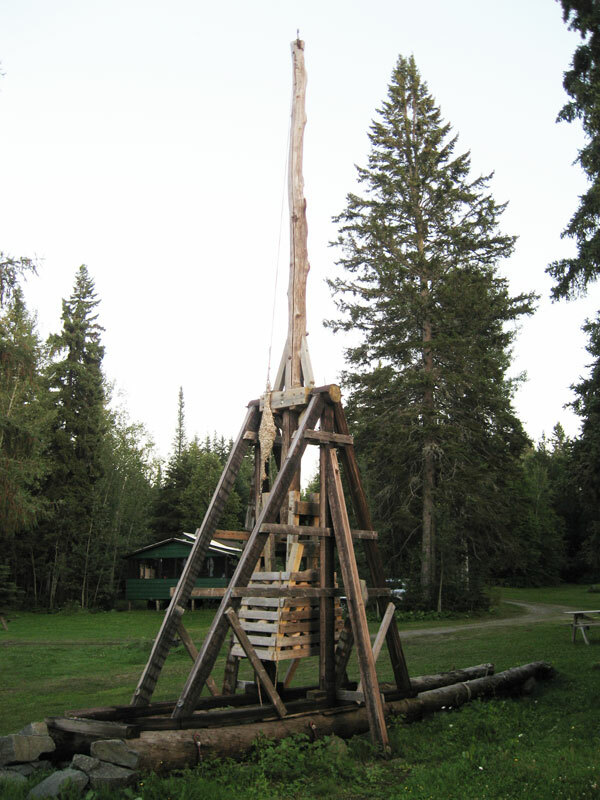 The salient feature in camp was a large, operational trebuchet. This view of Firth Lake was a harbinger of the weather to come! We arranged with Jack to pick up our vehicle at the put-in and store it at Sportsmens Camp during our trip. Friday, August 16 - We put in at the highway 560/Wapus Creek parking lot, about 20 minutes west of Gowganda. 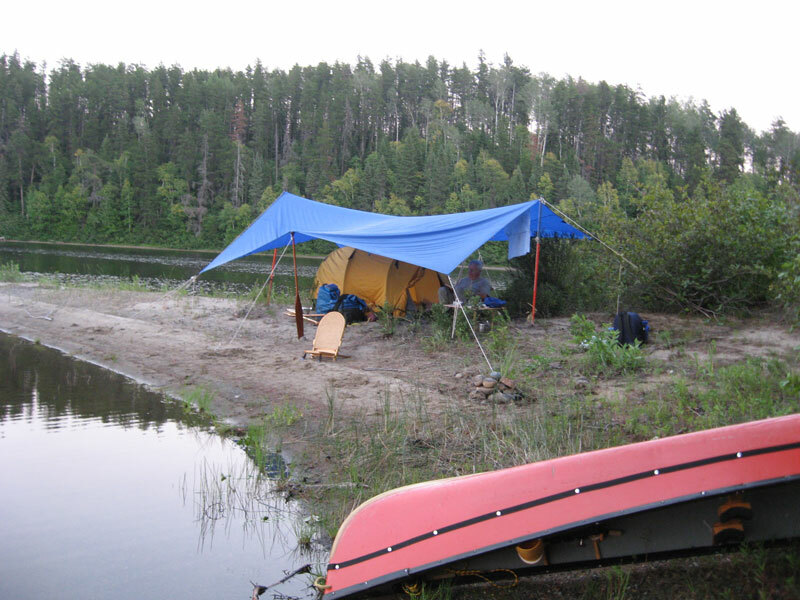 We paddled about 17 km and decided to camp on Penassi Lake. The campsite was clean, flat, sheltered and had a great view. 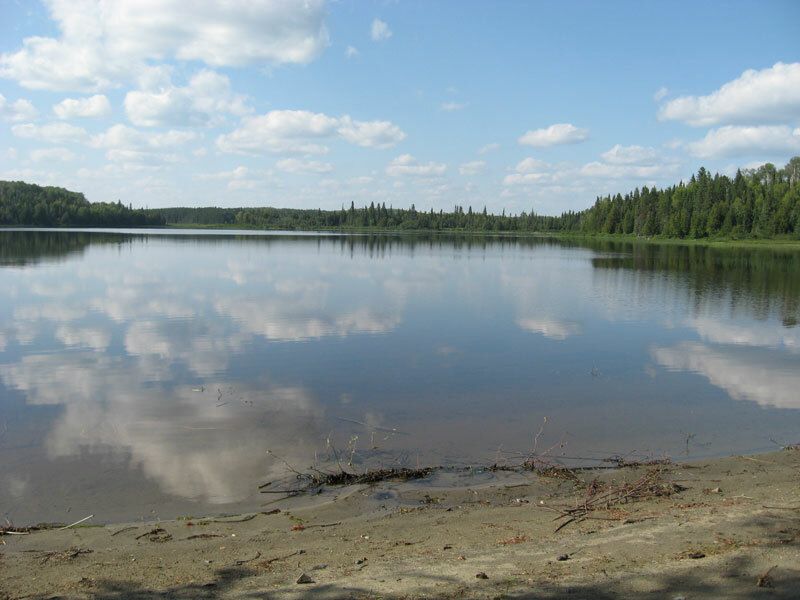 Saturday, August 17 - Penassi to Rankin Lake was a fairly easy paddle. Rankin is off the river to the west through a weed bed. 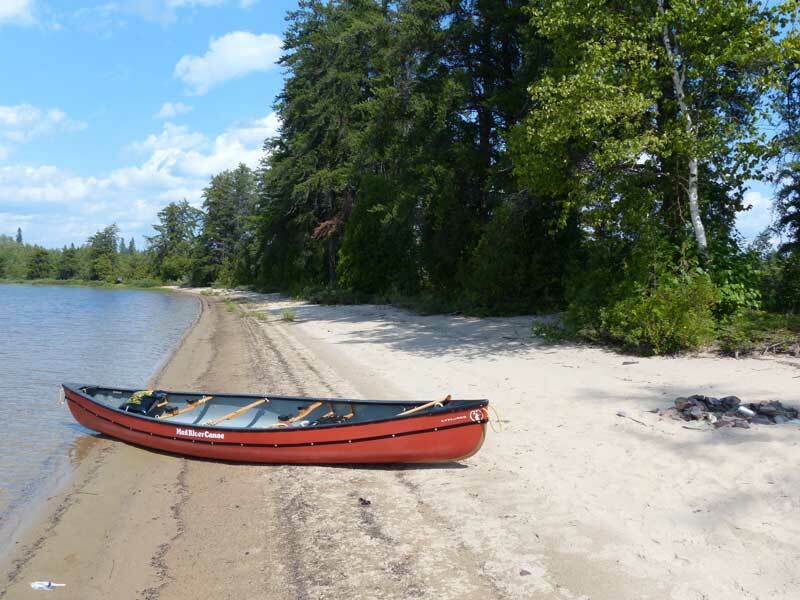 The beach campsite was narrow, with a slough behind it, but was a welcome change from the "bush" sites we were used to. As we were leaving the next morning, an osprey dove into the water about 20m ahead of us, but came up "empty-handed". Sunday, August 18 - We sailed about 15km today, mostly up Lake Mistinikon. With a tail wind, we got up to 10 kph at times (a bit hairy!). The campsites on Bell Island listed in the literature that we had read prior to the trip did not materialize. The island campsite that we did find, just north of Bell Island, was quite nice. A partial sunset capped a good day on the water. 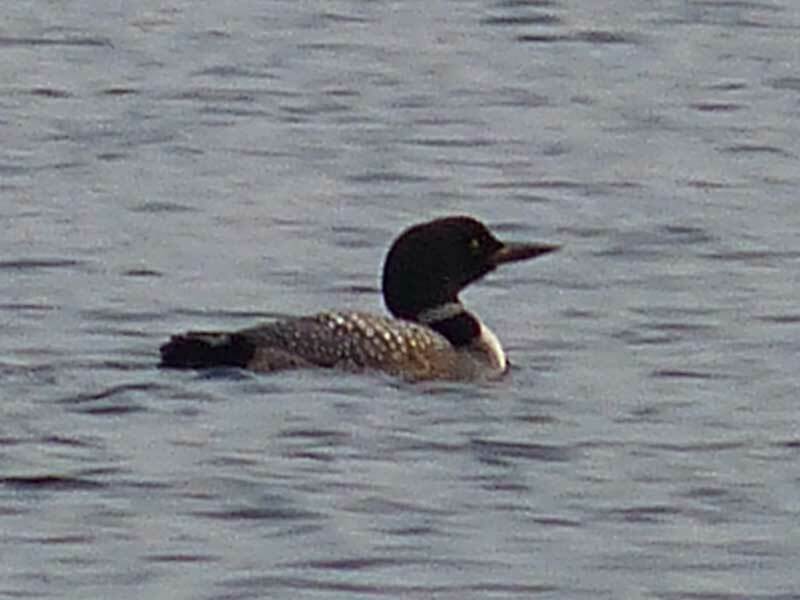 Monday, August 19 - Loons were plentiful throughout the trip. 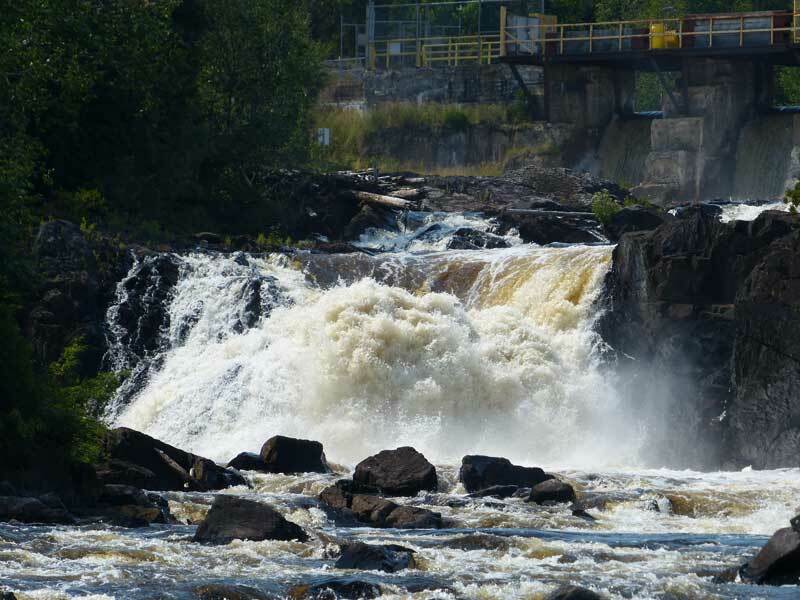 The Matachewan Dam necessitated a portage. There was a break in the pre-dam safety floats over which were were able to paddle. It always amazes me how much one dam can affect an entire drainage system. 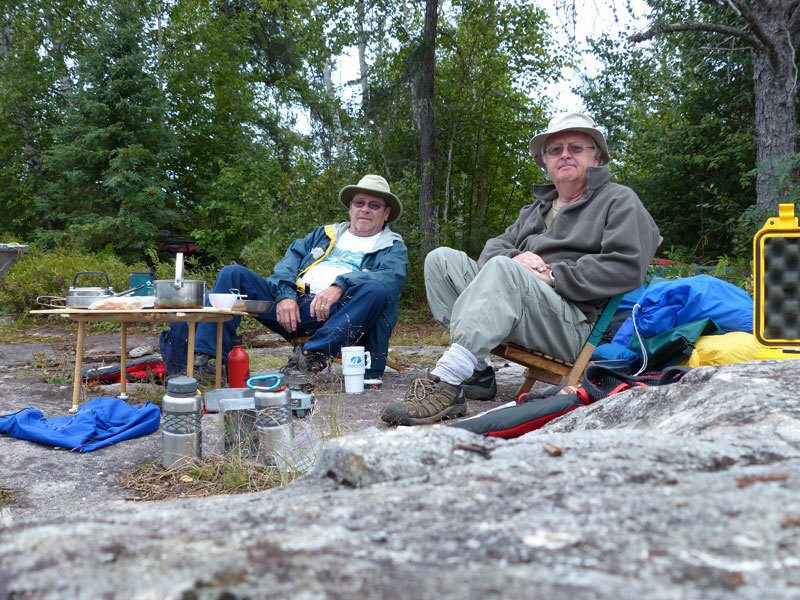 We camped at an island site in Matachewan Lake. Tuesday, August 20 - Two bits of the river to watch for were the new boardwalk and the rail line for boats across unrunnable sections. We stopped in at Matachewan at a parking lot/boat launch on the west side of the bridge. It was about noon hour, so we walked into town looking for a place to get lunch and a beer store. We found both. The "Old School House" Restaurant was a a bit of a hike to get to, but the burgers, etc. were very good. The Beer Store was attached to a gas station - not unusual in the north. Apparently a lot of the town had been taken over by the Dumas Mining Company, who is operating the gold mine a few miles north of town. 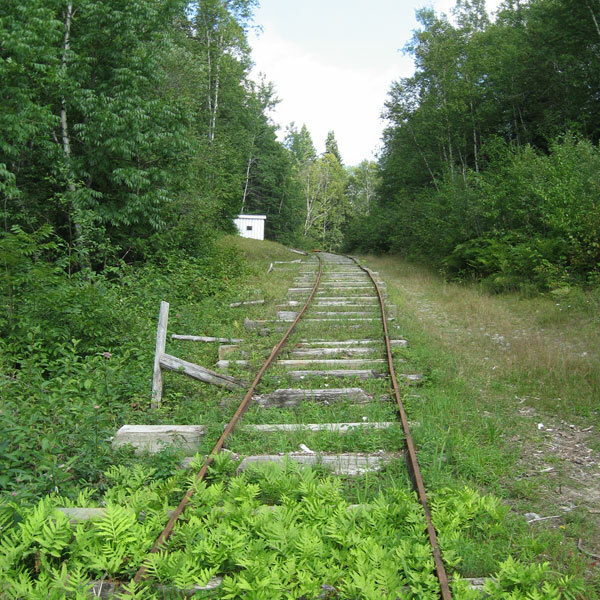 On our way up Mistinikon Lake the day before, we had seen the mining machinery on the east shore. 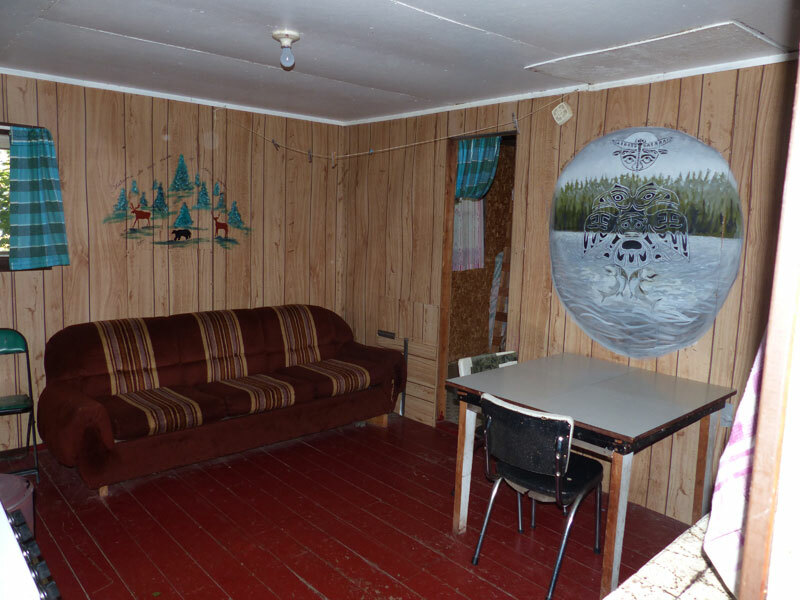 There were cottages within a kilometre of the mine site and it operated most of the day. That must be a bit aggrevating for the cottage owners! Just south of Matachewan there was a long, shallow set of rapids, which if going the other way, may have been runnable. 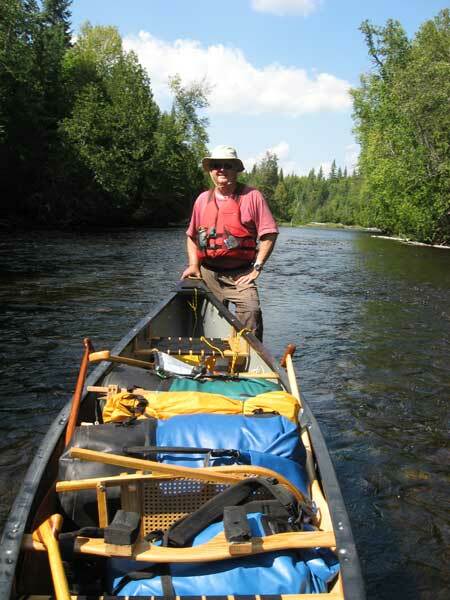 Since we were going upstream at this point, we opted to walk the river rather than portage. It was like walking on bocci balls for about a kilometre. The plus side was that it was a very hot day and the water cooled us off. 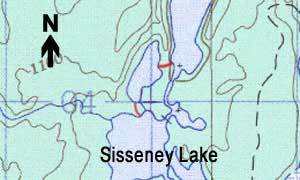 We camped on an island in Sisseney Lake. 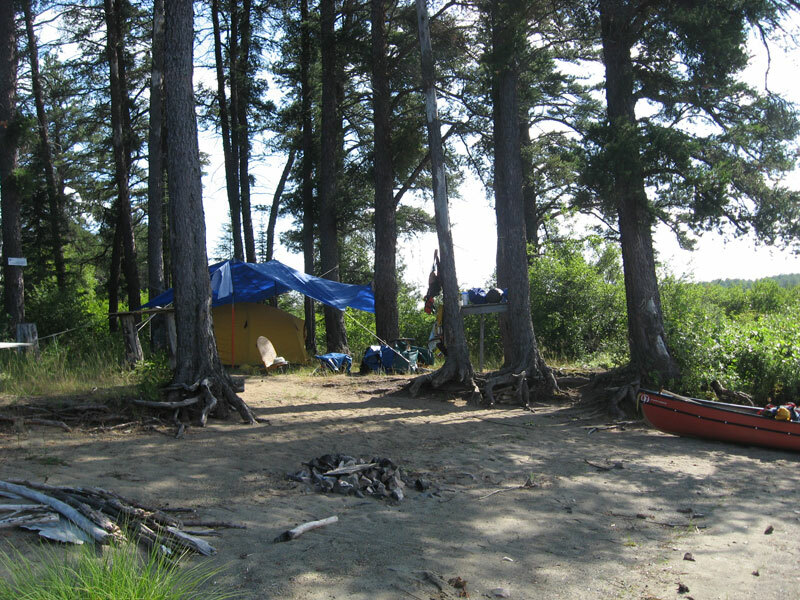 The established campsite on the island was already taken, so we made one on a sand spit on the other side of the island. 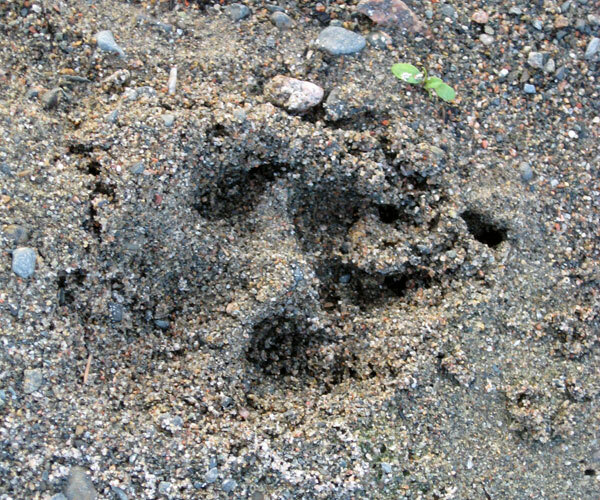 An unusual place to find wolf tracks. The nearest shore was about 100 metres away. There must have been something worth investigating for the wolf. These were about 5" across - a big one! 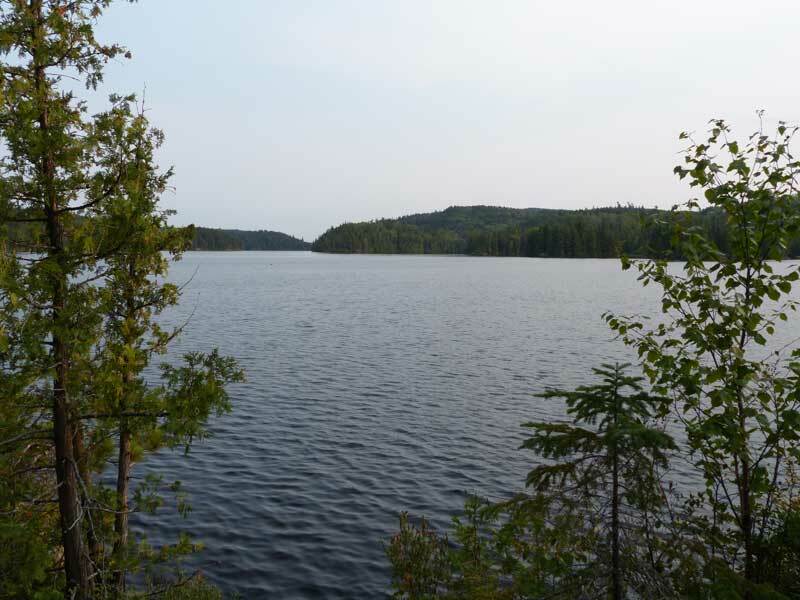 Wednesday, August 21 - The wind was from the south, so it was a bit of a pull down Sisseney Lake. 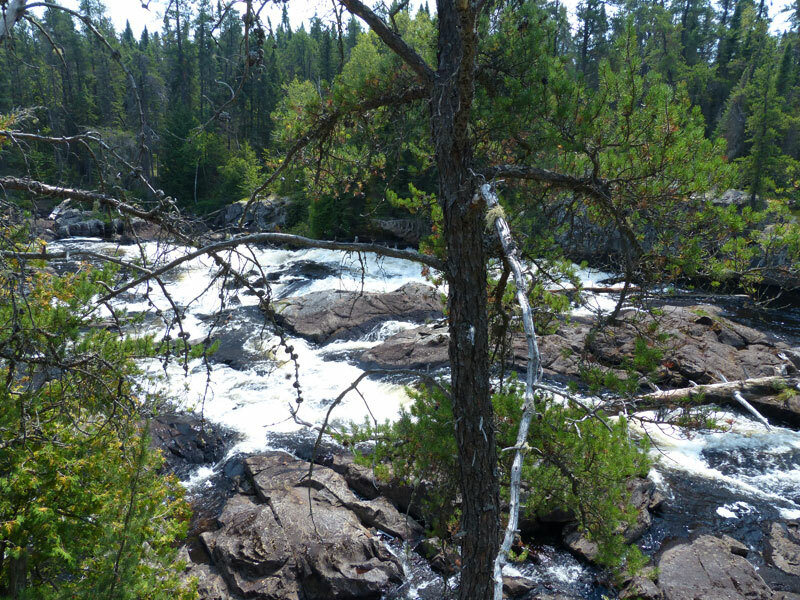 An unamed falls and Split Falls were mandatory portages. We lined up another rapid. The heat started to get to us at the portage (approx. 720m) at the road crossing north of Crotch Lake. 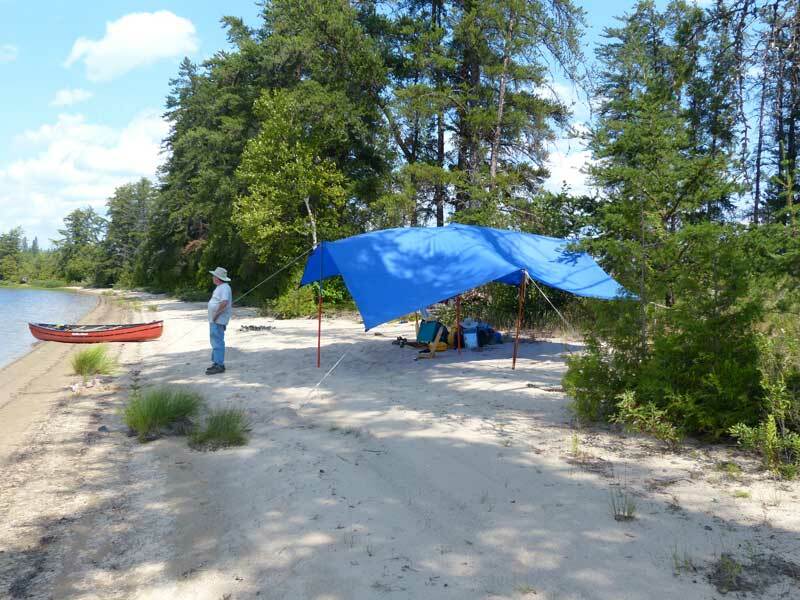 We decided to make camp at a fairly good site on the east shore just south of the portage. 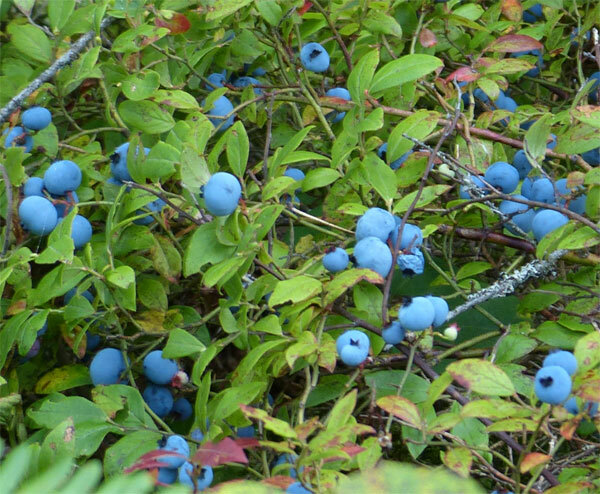 Throughout this trip, the blueberries were incredible! We were surprised that there was no sign of bears anywhere near the berry patches. I guess the berries were as plentiful elsewhere as well. 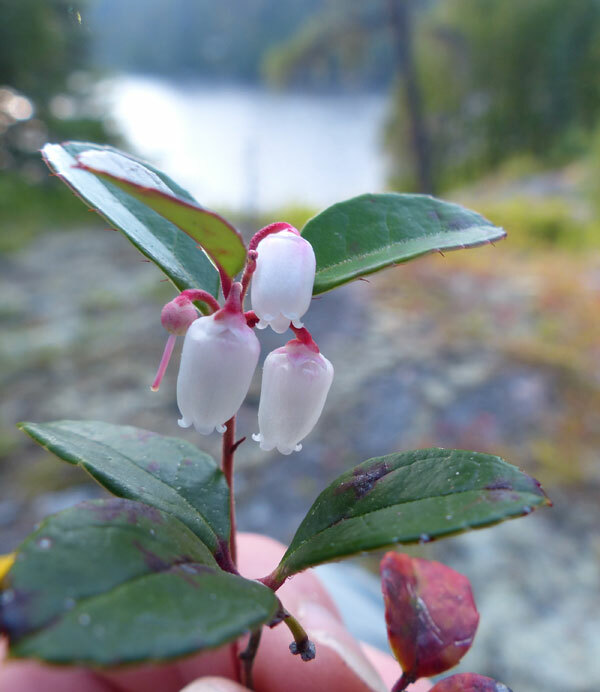 We also found some wintergreen in bloom - beautiful! Thursday, August 22 - We completed the two portages and lined up a C1 by noon. The wind started to pick up again. 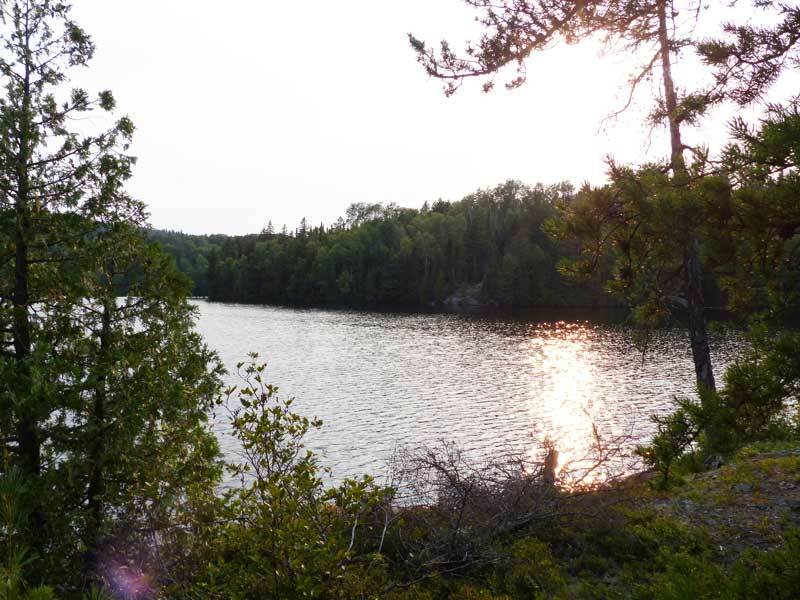 At about 3:00 pm, a thunderstorm coming in from the west looked threatening, so we pulled off the water and made camp at the end of an ATV trail used as access to a couple of cabins that we had passed earlier on. 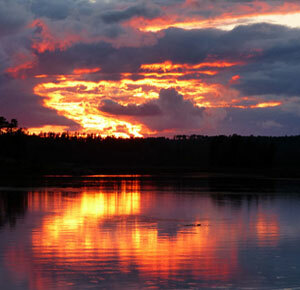 In the late afternoon, the owner of the cabin across the river arrived with supplies for a group staying there. He was a trapper/hunter and we had a good chat with him. A couple of storms did go over us, but most of the nasty stuff went around. A break between storms allowed us to eat outside. 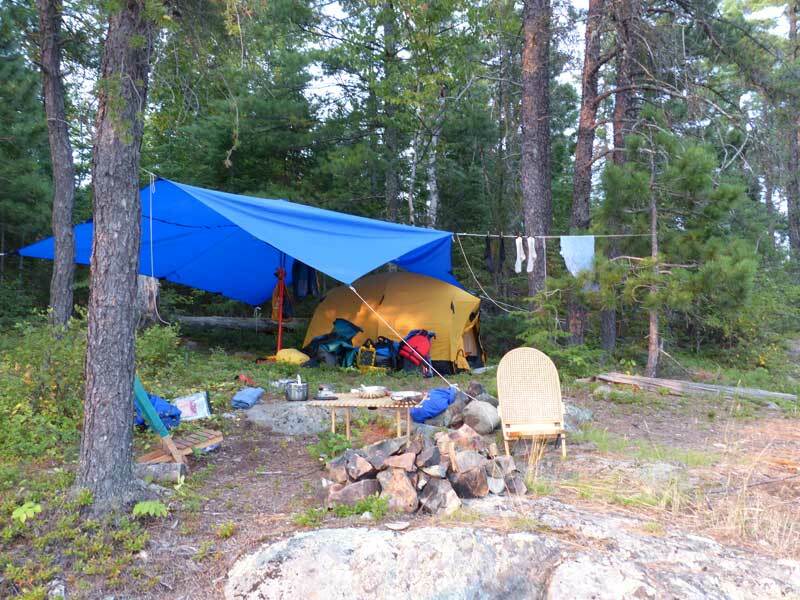 Friday, August 23 - The night had been quite cool, so the tarp was wet in the morning. 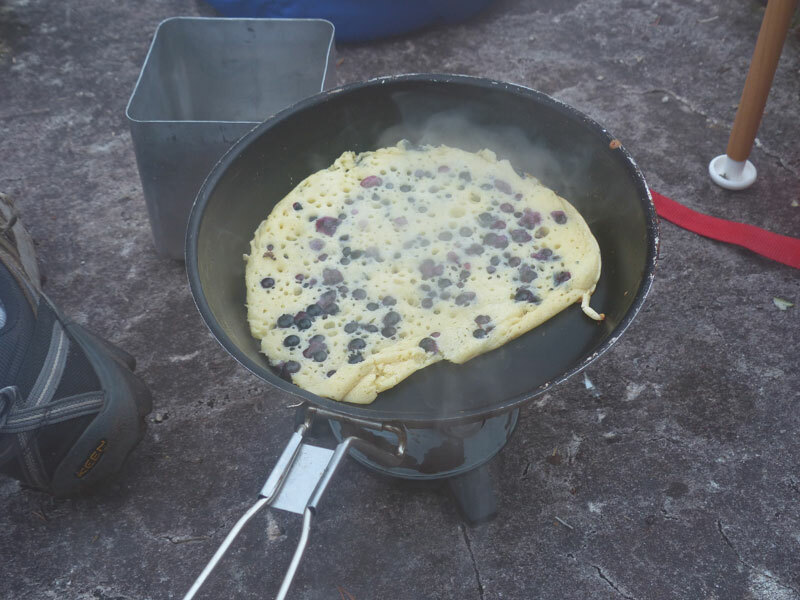 A quick trip into the berry patch behind the campsite yielded enough blueberries for a stack of really good pancakes. 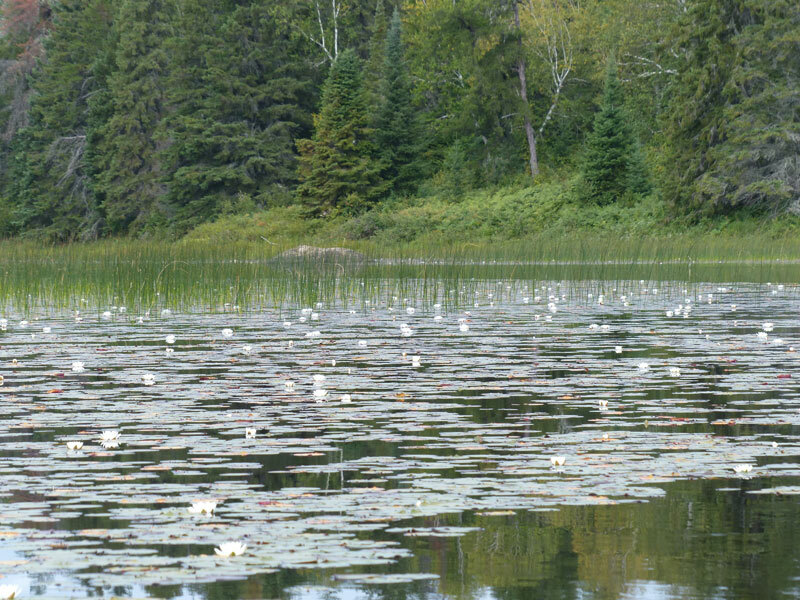 Just before the bend into the north end of Obushkong Lake, there was an extensive "lily field". 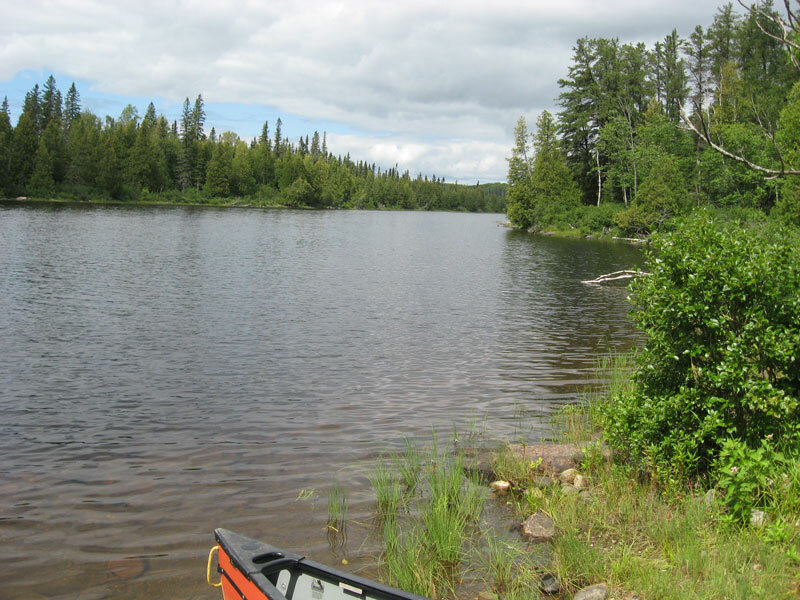 We sailed part of the way down Obushkong Lake, much to enjoyment of some fishermen in power boats. Our pull out in Edith Lake was at about 1:30 pm. In summary, the trip was a good one. Many of the campsites listed in Kevin Callan's "Further Up the Creek" (published in 1999) did not exist. 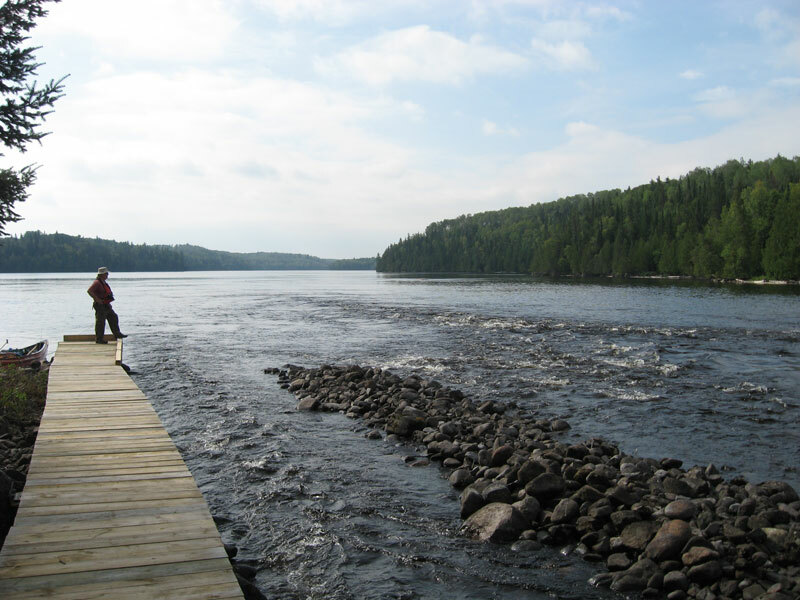 As well, Hap Wilson's "Temagami Canoe Routes" section on the Montreal River (published in 1988) was somewhat inaccurate. I do not fault either author, since the information in their books was good when published. I note this because change happens. As a precaution, try to get route information as current as possible. I will continue to use their books when planning a trip, but I will supplement the information with more recent journals, forums, blogs, logs, etc. 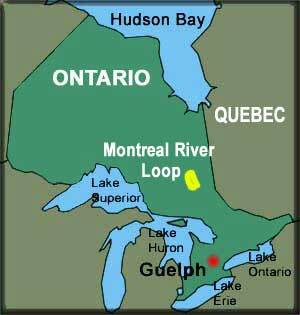 from websites such as Canadian Canoe Routes.